Prado Condominiums is a high rise in the Golden Triangle neighborhood of downtown Denver. The building is the second tallest residential building in Denver. The building was designed to give provide residents with as many open terraces as possible. The Prado is definitely known for it's views. 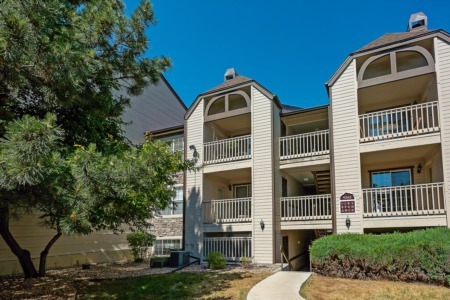 Some units boast views of both the Denver skyline and the Front Range. One can easily walk to museums, galleries and shops. The Cherry Creek Bike Trail is close by for walking and biking, of course. These luxury condos have hardwood floors, stainless steel appliances and granite counters. All of this is reflected in it's neo-historical style.